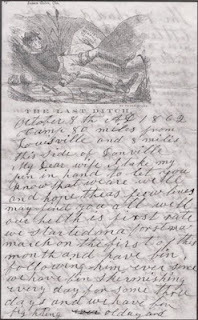 I have an article in the Summer 2009 issue of the Journal of Illinois History, entitled, “I never wood git tired of wrighting to you: Home and Family in the Civil War Letters of Joseph and Currency Van Nattan.” This piece began as a dissertation side-project over two years ago, when I discovered the Van Nattan-Renne Collection at the Abraham Lincoln Presidential Library. I was initially interested in the letters for what they reveal about the Illinois home front, specifically attitudes towards Copperheads. I soon found, as I read through the small collection, that Joseph and Currency Van Nattan had much more to say about the emotional and affective ties that bound families across the broad gulf between battle front and home front. 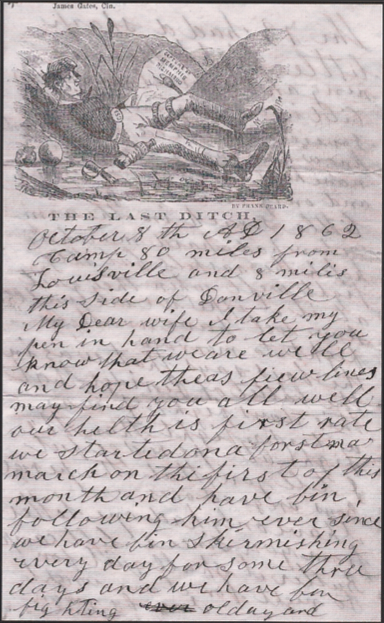 In their touching letters, the Van Nattans expressed a wide range of emotions and opinions, but more than anything, revealed the deep bonds of love and faith that helped disjoined families — and a disjoined nation — become whole again when the war was over.